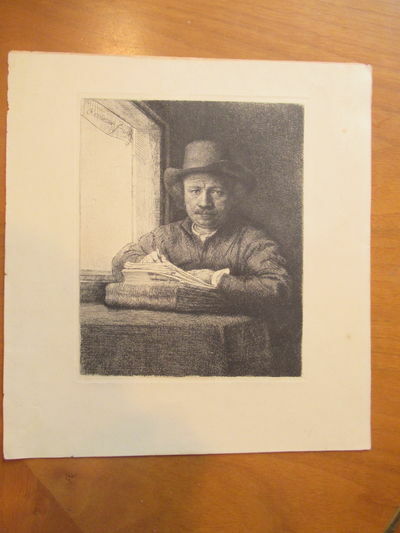 Original Etching, Later Printing . Single Sheet. Fine. Image 15.9 X 12.9 Cm., With 4 Cm Margins On Each Side. Depending On The Catalog Used, State 2 Of 4 Or State 3 Of 5. Wove Paper With No Watermark, Plate Mark Is 2 Mm From Image At Sides And Top, 3 Mm At Bottom. Part Of A Large Collection Of Original Antique Engravings Formed By A Southern California Artist In The Early To Middle Twentieth Century. Each Plate Has Small Glue Marks On Reverse Where They Were Tipped In To An Album.